New Zealand should take the lead in the bid to promote women’s health around the world, after the killer blow delivered by US President Donald Trump, ALRANZ Abortion Rights Aotearoa says. The Trump Administration has announced it will reinstate the so-called Mexico City Rule – which bars American foreign aid being given to international organisations that advocate for abortion access. 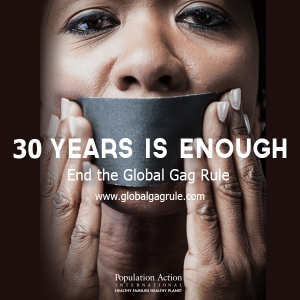 The “Global Gag Rule” also targets NGOs that provide counselling or referrals for abortion. ALRANZ Abortion Rights Aotearoa President Terry Bellamak says it is an “ill-conceived, ill-advised” policy – which could see women die because of illegal abortions or dangerous pregnancies. The Netherlands is assembling a group of nations to restore funding to these NGOs to close the gap. Belgium has joined the effort. Ms Bellamak says New Zealand should do the same. “Responsible developed nations like New Zealand should take the lead in counteracting this irresponsible policy of the Trump administration,” Ms Bellamak says. “If NGOs affected by the rule cannot replace the funding, women needing reproductive health care in developing nations face increased mortality rates,” Ms Bellamak says. “Many of these organisations also offer services like contraception advice and women’s health care. “Prime Minister Bill English is on record opposing women’s right to choose abortion for themselves – but good reproductive health services like contraception reduce unwanted pregnancies.